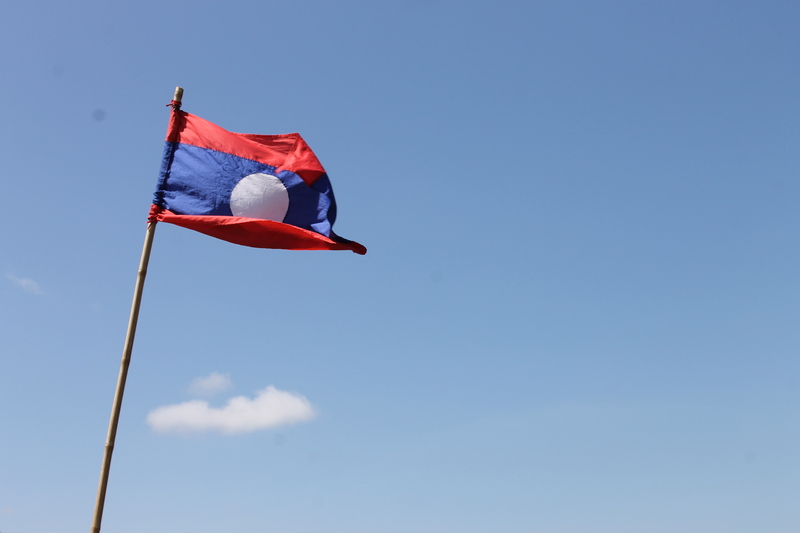 Just got back from four days in lovely Luang Prabang, Laos. I loved it just as much the second time around. Highlights? 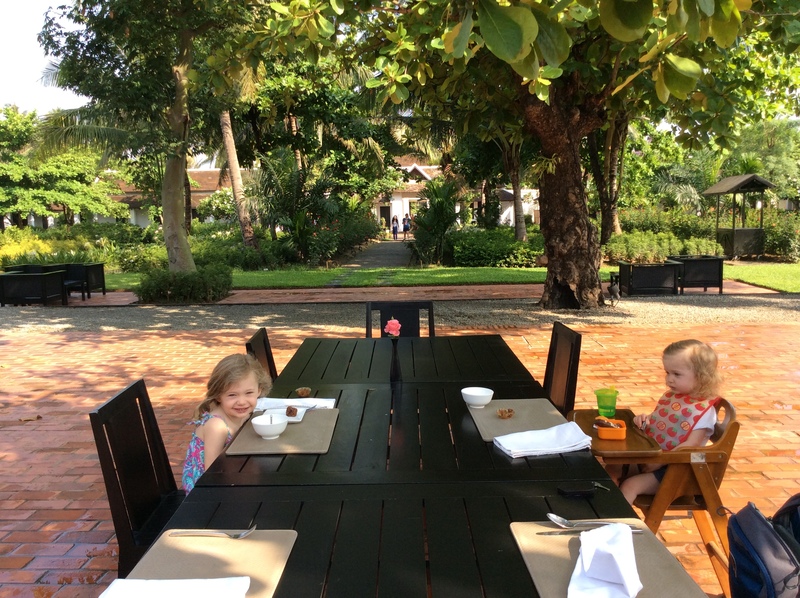 Beautiful wats (temples) and saffron robes, peaceful Mekong breezes, the best night market I’ve visited in Southeast Asia, fabulous food, elephant rides, local artwork and handicrafts, and an exceptional hotel. Again, this trip was a combination of my favorite things: family, fitness, and frolicking, (with Lao Dark beers sprinkled throughout). To be honest, there was a bit less straight-up fitness than I would have liked, but I figure when you’re carrying/pushing two young children all over town in 90 degree, humid heat, that’s equivalent to a workout (or four). 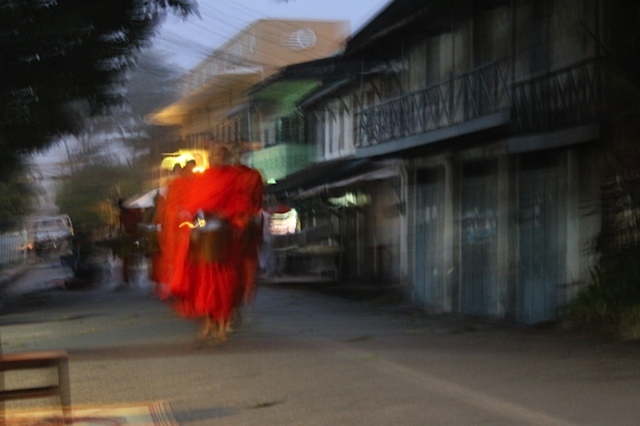 Luang Prabang as an easy one-hour flight from Hanoi. 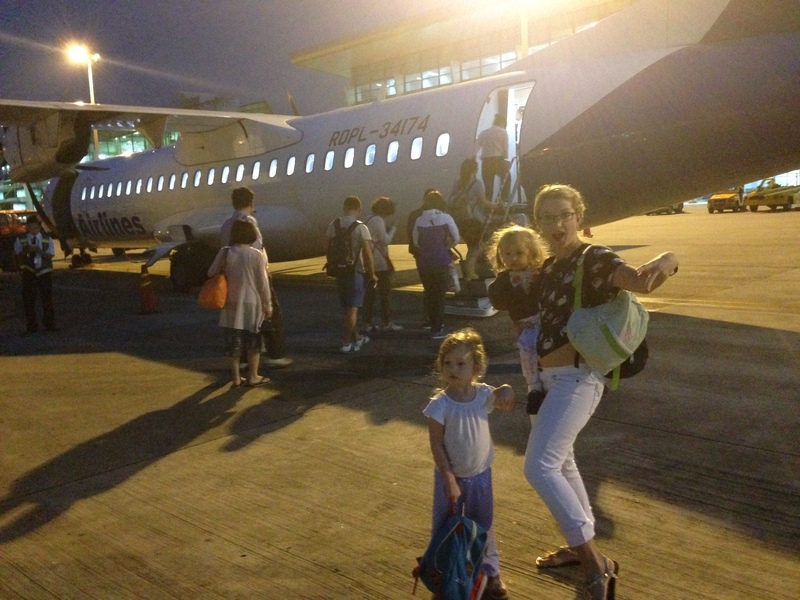 We flew there on Laos Airlines on a packed prop plane and back home on a similar plane operated by Vietnam airlines. Not the most spacious airline experience but thankfully the flights were quick and on time. 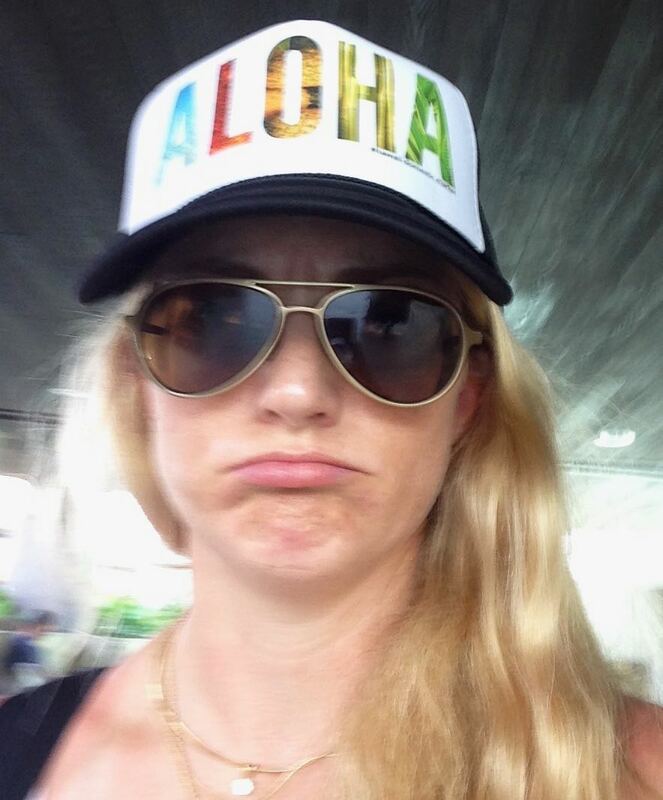 (I recommend dressing for warm weather, as it took half the flight for the aircon to get kicking.) The best part is that, not only is Luang Prabang a quick flight from Hanoi, but once you arrive at the small airport tucked among the hills, the car ride to town is ten minutes tops. 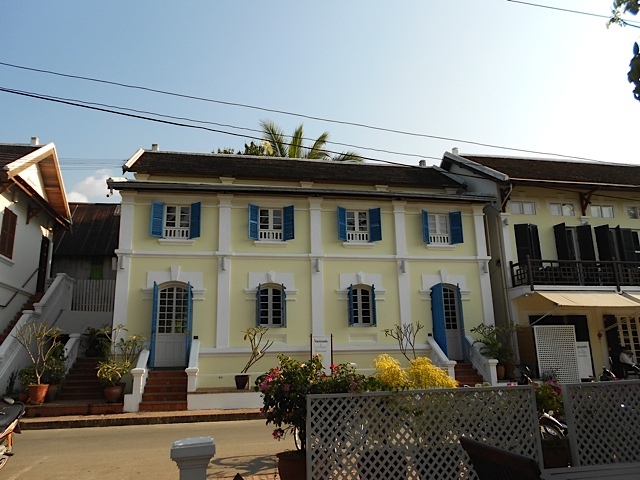 Our first time in Luang Prabang we stayed in a quaint riverside boutique hotel, The Belle Rive Boutique Hotel – a quintessential French colonial style set of buildings. The lobby feels like stepping back in time to a much earlier Indochine experience. The location can’t be beat. Right in town and only a block away from almsgiving (more on that later). Our room was simple but comfortable, the food was delicious, the hosts were warm, and the room rate included a cocktail cruise. We loved it and would recommend it enthusiastically. This time, we opted for a hotel with a pool (it’s HOT in Laos in April). 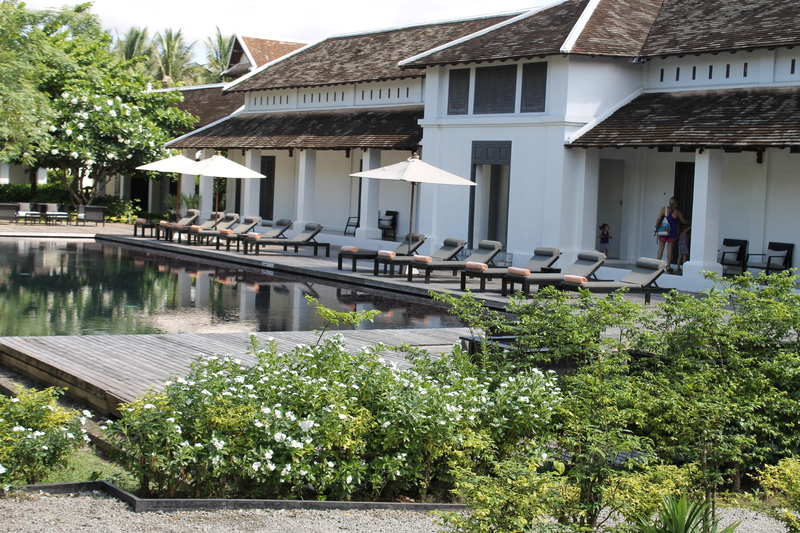 In Luang Prabang, this means you have to stay a bit outside of town, as pools aren’t permitted in the historic district. We stayed at Hotel de La Paix, a boutique hotel managed by Accor (soon to become a Sofitel property). A fabulous decision, it turns out. Thanks to our Accor Advantage Plus card, they upgraded us to a large, open poolside room, complete with a huge bathroom, an outdoor garden with lounge chairs, a stocked (complimentary) mini bar, an iPod with local music, and a ridiculously comfortable bed. Bonus? A free baby crib and a small sofa perfect for a four-year-old’s temporary “bed” with no extra charges! Most hotels include round-trip airport transportation. 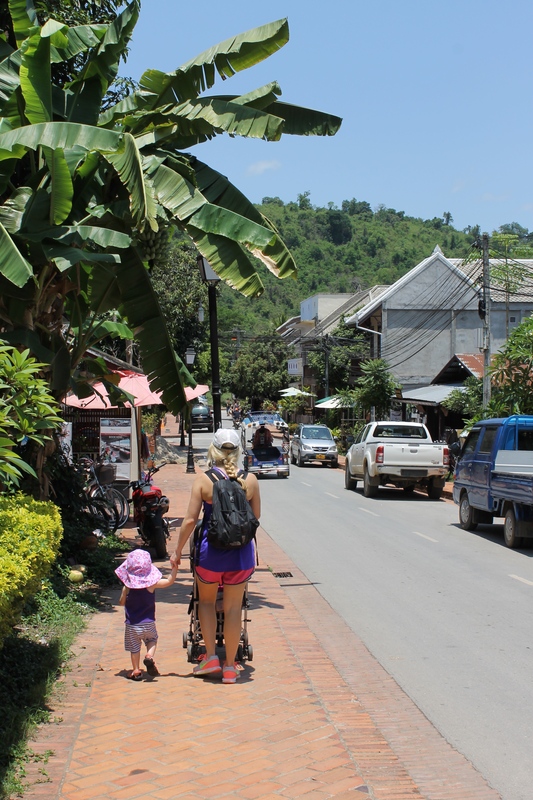 Once you unpack your bags, take a stroll along the Mekong and Luang Prabang’s main street. Most hotels offer free bikes and tuk tuks are plentiful, cheap, and fun! 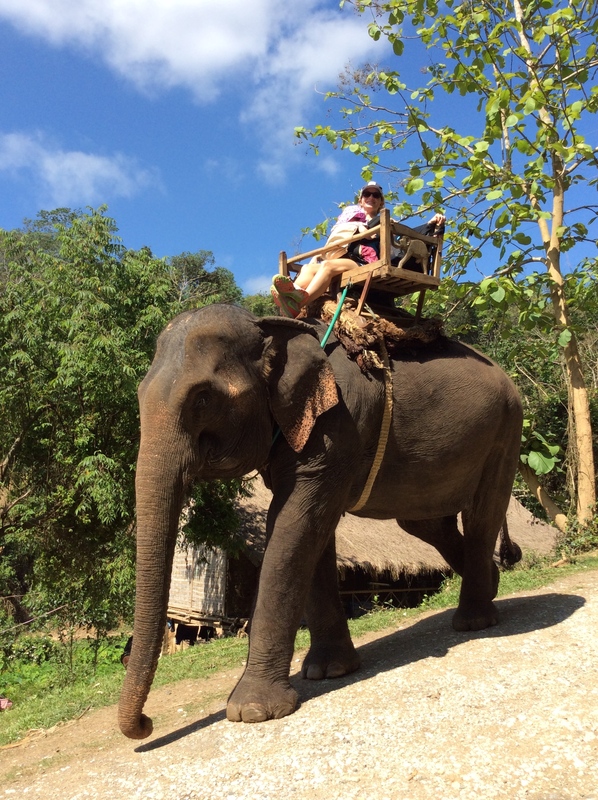 Elephants are another great option (more on that later!). 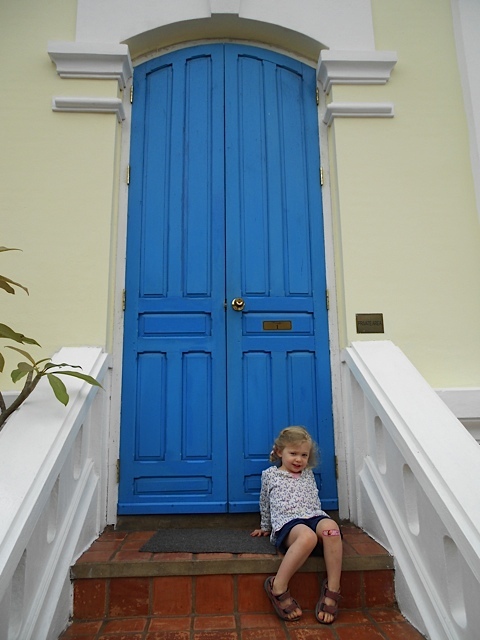 Luang Prabang is one of the more child-friendly cities I’ve visited in Southeast Asia. There are plenty of fairly wide and obstruction-free sidewalks, making it (relatively) stroller friendly. Most of the restaurants we visited (more on this to come!) had high chairs and were kid-friendly. 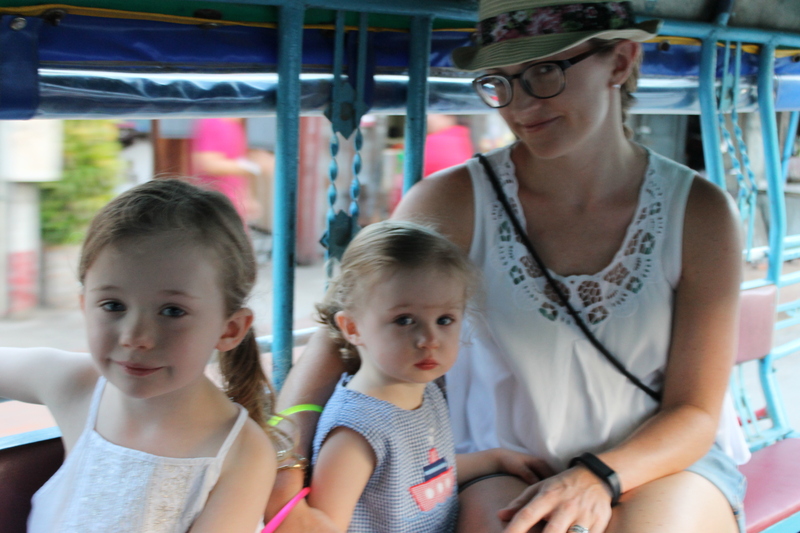 Additionally, the tourist activities – riverboat cruise, night market, elephant rides (more on these to come too!) – welcomed kids, (although if you’re safety–minded, I recommend bringing life jackets from home). 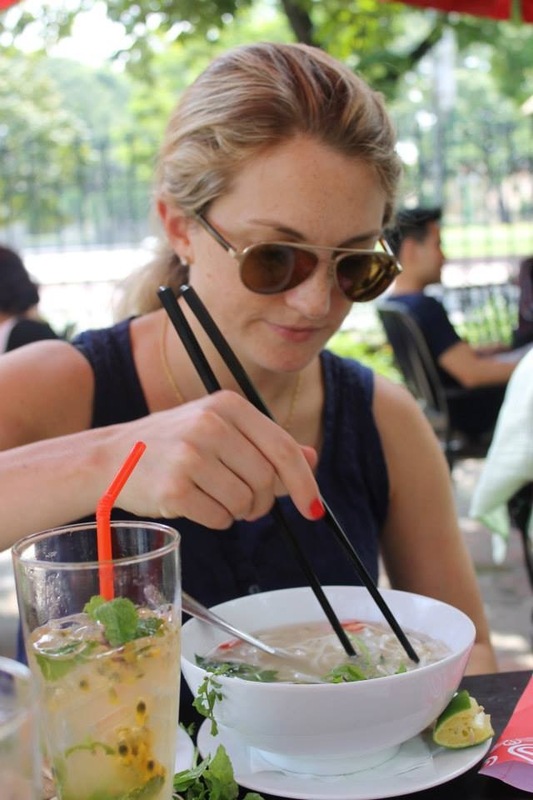 Stay tuned for Living it Up in Luang Prabang: Part 2, Frolicking!!!! On a side note, this is my go-to travel highchair. It’s light and folds flat so I can keep it under the stroller with no problem.